This bi-lingual, pocket-sized dictionary offers vocabulary and usage relevant to both the school and the general user. It contains over 35,000 references and 50,000 translations and includes pronunciation, the historical development of language and lists of personal and place names. 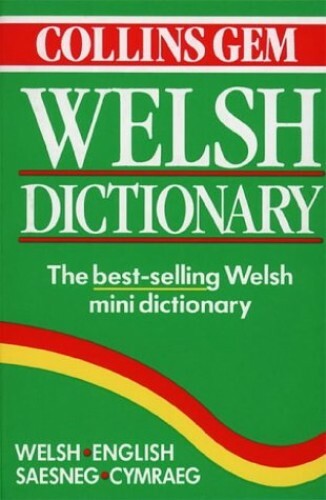 This dictionary has been expanded and updated to provide increased contemporary coverage of Welsh and English. This bi-lingual, pocket-sized book offers vocabulary and usage relevant to both the school and the general user and, as such, should appeal to both. It is the result of collaboration between the staff of the Department of Welsh Language and Literature of St David's University College, Lampeter and Collins editorial staff. This dictionary contains over 35,000 references and 50,000 translations and includes pronunciation and the historical development of the language as well as lists of personal and place names.